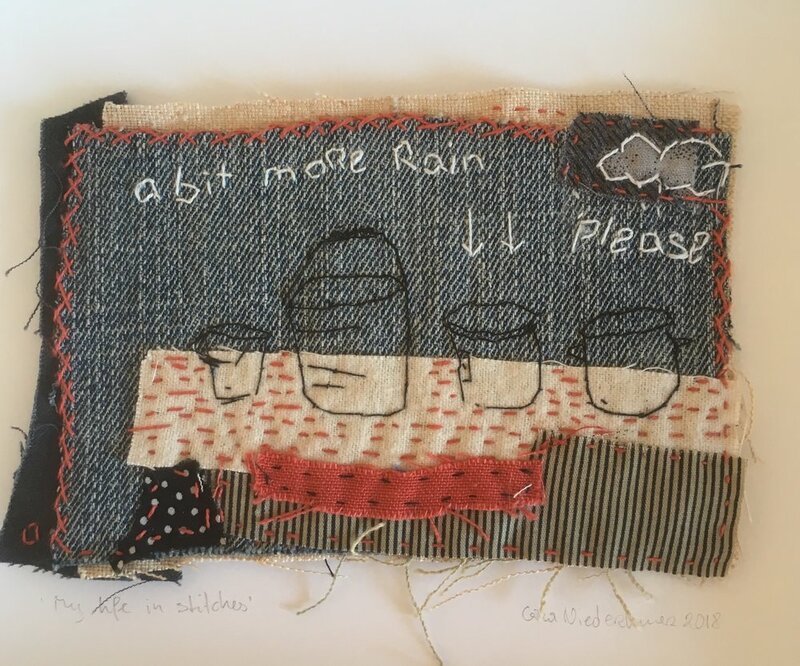 Gina Niederhumer is an artist living in Cape Town, who describes her life via needle and thread. Coming from a long line of needlewomen, Niederhumer seeks to embrace past traditions within her current fine art practise, to tie together the threads of past and present in order to reflect the complex tapestry of the current moment. Her work is deeply personal, built from a wealth of familial stories. Niederhumer completed her Masters in Fine Art (UCT) in 2016, and has exhibited her needlework in various galleries and workshops throughout the country.